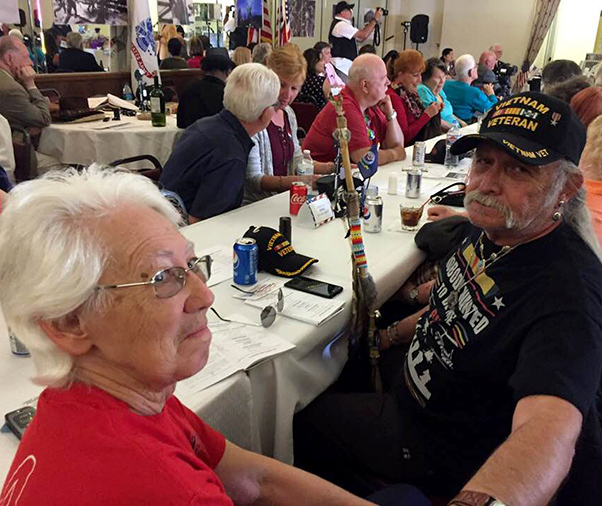 Ida Ketchum and Danny Garcia pictured attended the 7th annual Vietnam Veterans Dinner hosted by the Elks Lodge in Lancaster, Calif., March 31. More than 150 Vietnam veterans with friends, family and veterans of Korea and other service eras were hosted to dinner at Elks Lodge 1625 March 31, 2018. 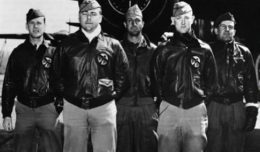 Their sacrifice and service was recognized by Rep. Steve Knight, Army veteran of the Cold War, at ceremonies organized by the Antelope Valley Veterans Community Action Coalition led by Vietnam veteran Dean Brown. 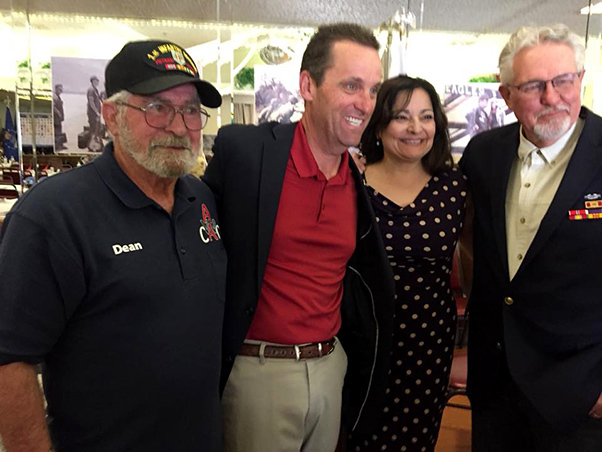 Dean Brown, Rep. Steve Knight, Lily Knight and Bill Reynolds were on hand for the Vietnam Veterans Dinner hosted by the Elks Lodge in Lancaster, Calif., March 31. The seventh annual dinner was emceed by Knight aide Mitchell Chase, who served in the 82nd Airborne Division. Knight was joined by his wife Lily Knight, and veterans staff Christine Ward and Kathy Rough and decorated Vietnam veteran Bill Reynolds. 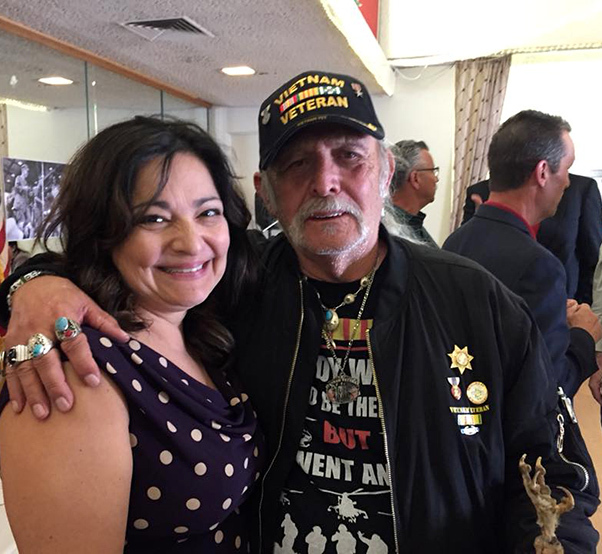 Lily Knight and Danny Garcia at the 7th annual Vietnam Veterans Dinner hosted by the Elks Lodge in Lancaster, Calif., March 31.